You hear it a lot in many contexts. To be sure, it sounds good, but what does it really mean? To us, it means using the very best materials for a cabinet, though they may be more dear. It means choosing the more time-consuming or difficult joint for a kitchen drawer because it is stronger. It means creating a piece of furniture the way you would if you were making it for your own family. It means insistence on excellence every time. It means teamwork, quality and attention to detail. It means 1/32 inch variations are too much. It means being mindful of the overall goal with each step of manufacture and assembly. It means resurrecting the meaning of the words heirloom, classic and quality. Craftsmanship is what R.W. 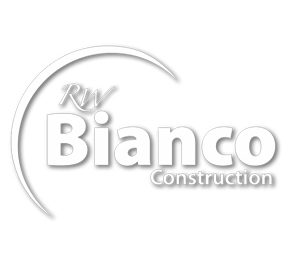 Bianco Construction is all about. Here in Sandpoint, Idaho, we create custom furniture according to quality standards that are almost unheard of today. Cabinets are handmade with real, solid wood and the best, time-tested methods and materials. Each job, whether it is a piece of furniture or a whole house full of cabinetry, is custom built with the customer's input and desires foremost. As cabinetmakers, we take pride in our commitment to quality and we back our handmade work with years and years of insistence on superb value.